Grandpa has been busy running all over making sure our products are convenient and available to you. Joseph's Grainery is now in stores in Spokane, Washington! 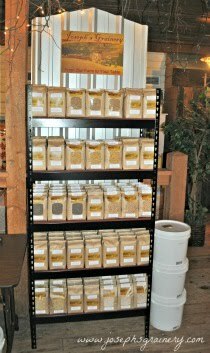 You can now find Joseph's Grainery Whole Grain Products at Main Market in Spokane. If you can't find what you're looking for, just ask for Joseph's Grainery by name!